Christ vs. Christianity: Where Did the Popular Image of Jesus Come From? By the Way: Don’t Defenestrate! Prophecy Who Would Jesus Vote For? Being a Christian isn’t just about being a visionary. It’s about being the right kind of visionary. The pages of God’s Word show us how. The world is full of visionaries. Browse through Kickstarter sometime, and you’ll see pages and pages of visionaries looking to change the world (or some corner of it) with new technology, new innovations, new games, new music, new films—new everything. Visionaries are the people who look at the world as it is and see what it could be instead. They’re the people who invented broadcast television and wireless Internet, who launched astronauts safely into the frigid vacuum of space, and who dreamed up the combustion engine. They’re the people who bridge the gap between the present and the possible. Unfortunately, that’s not always a good thing. Visionaries are really just forces for change. Sometimes that change is great and sometimes it’s terrible, but most of the time it’s somewhere in between. Take Charles Babbage, for example—when he dreamed up his steam-powered, programmable “computer,” I doubt even he could have imagined a future where computers fit in people’s pockets, connecting the world in a boundless network capable of incredible good and terrible evil. Visionaries turned slavery into a commercial enterprise. Visionaries designed the first atomic bomb. And what’s even scarier—what’s absolutely terrifying—is that in each of those scenarios, there were visionaries who honestly believed what they were doing was okay. There were people who thought it was okay to buy and trade their fellow human beings like cattle. There were people who thought they were doing the right thing by building a weapon that could level entire towns. There were people who thought they were justified in herding the Jews and other minorities into concentration camps and gas chambers. We don’t just need more visionaries. We already have plenty, each jockeying to lead the world down any one of a thousand mutually exclusive paths.  No, we need the right kind of visionaries—and those are harder to come by. Seeing the world as it could be is easy. Seeing the road to get there is harder. But the real trick—and the part that really matters—is seeing the right world and identifying the right road. That’s tricky. But it’s possible, and we can do it—but not without first looking to the ultimate Visionary. The Bible is filled with prophecies that don’t just describe the world as it could be—they describe the world as it will be. “For I am God, and there is no other; I am God, and there is none like Me, declaring the end from the beginning, and from ancient times things that are not yet done. … Indeed I have spoken it; I will also bring it to pass. I have purposed it; I will also do it” (Isaiah 46:9-11). And He does do it. Before the nation of Judah was conquered by the Babylonians, God sent prophet after prophet to warn His stubborn people of what was coming and how to avoid it (Jeremiah 44:4-6). Before Alexander the Great was ever born, God sent Daniel a vision of a conqueror who would shatter the Medo-Persian Empire and then die suddenly, leaving his own empire to four inferior leaders (Daniel 8:1-22). Before King Cyrus was born, God had Isaiah record a prophecy of a ruler named Cyrus who would release the Jewish people from captivity to rebuild God’s temple in Jerusalem (Isaiah 44:28–45:7). All these things came to pass, exactly as God promised they would. But most of the Bible’s prophecies are still unfulfilled—describing a time in the future. There are prophecies about a time when “the desert shall rejoice and blossom as the rose” (Isaiah 35:1), when “the eyes of the blind shall be opened, and the ears of the deaf shall be unstopped” (verse 5) and “sorrow and sighing shall flee away” (verse 10). It’s a picture of the world as it could be. As it should be. The road to that world isn’t an easy one, but it is a clear one. A lot has to change, and things have to get worse before they can ever get better. But there’s a reason for all of it—even the moments that seem arbitrary or hopeless. We might not understand the reason for every event along the way, but we know those moments are allowed by the God who reminds us, “For as the heavens are higher than the earth, so are My ways higher than your ways, and My thoughts than your thoughts” (Isaiah 55:9). That doesn’t mean we have to stay in the dark about God’s plan. On the contrary, God maps it all out for us in the pages of the Bible and invites us to understand—because He wants us to see and seek His marvelous vision of the future. The book of Hebrews contains what’s popularly known as the Faith Chapter—a sort of spiritual hall of fame filled with the stories of those who made following God their top priority. These men and women have something else in common too: By and large, they were visionaries—and not just any visionaries, but the right kind of visionaries. They saw not just the world as it could be, but the world as it will be. Moses, for instance, left his position as royalty to wander in the desert with slaves, “for he looked to the reward” and “endured as seeing Him who is invisible” (Hebrews 11:26-27). Noah, “being divinely warned of things not yet seen,” built the ark that saved his family from the Flood (verse 7). Abraham left his home without knowing where God was leading him, “for he waited for the city which has foundations, whose builder and maker is God” (verse 10). These men and women each peered into the world that will be: “These all died in faith, not having received the promises, but having seen them afar off were assured of them, embraced them and confessed that they were strangers and pilgrims on the earth. … Therefore God is not ashamed to be called their God, for He has prepared a city for them” (verses 13, 16). Hebrews 11 is a chapter full of visionaries, each of whom saw the future and started walking toward it. What about you? Where are you going? What do you see? Is the future promised by God burning in the forefront of your mind? 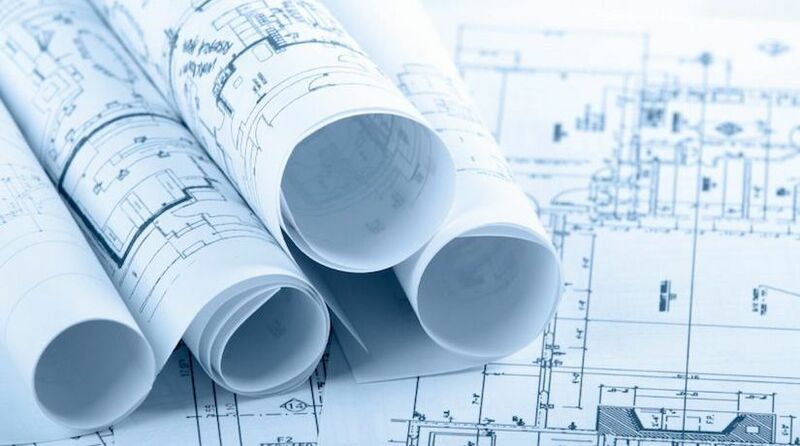 Can you visualize the city “whose builder and maker is God”? Do you know the road there? The answers aren’t secrets—they’re all on display in the pages of your Bible. It’s just that few people take the time to delve into those pages and ask the right questions. Jesus warned, “Narrow is the gate and difficult is the way which leads to life, and there are few who find it” (Matthew 7:14). But it’s there. With God’s help, you can find it. And if you want to find that path, the Bible tells you exactly where to start. Peter writes about the “exceedingly great and precious promises” we’ve been given, adding, “for this very reason, giving all diligence, add to your faith virtue, to virtue knowledge, to knowledge self-control, to self-control perseverance, to perseverance godliness, to godliness brotherly kindness, and to brotherly kindness love. … For so an entrance will be supplied to you abundantly into the everlasting kingdom of our Lord and Savior Jesus Christ” (2 Peter 1:4-7, 11). It has to start with faith—“for he who comes to God must believe that He is, and that He is a rewarder of those who diligently seek Him” (Hebrews 11:6). But it doesn’t stop there. To faith, we must add virtue—a desire to do what’s right because it’s right. Then comes knowledge—the more we exercise our faith through virtue, the more we come to understand God’s Word on a deeper and more personal level. Next comes self-control, then perseverance, then godliness, and on it goes, with each step taking us farther and farther down the road to the future God has prepared for the whole world, opening our eyes ever wider as we become the right kind of visionaries—the kind the world needs. And that’s the beauty of it all. The road doesn’t stop with us just seeing the future. It ends with us being a part of that future. The world is becoming an increasingly dark and broken place, but the end of the story reveals that God’s visionaries will reign with Him for eternity, bringing light and healing to a world that needs it so very much (Revelation 20:4; 22:2-5). But that’s all later. That’s the future we need to keep our eyes on—the future the heroes of faith looked toward in the middle of their darkest moments and most difficult trials. And until that day comes, we have a road to travel—beginning with faith and ending with an entrance into the Kingdom of God. “And so,” Peter writes, “we have the prophetic word confirmed, which you do well to heed as a light that shines in a dark place, until the day dawns and the morning star rises in your hearts” (2 Peter 1:19). The future is certain. The road there is narrow, but the destination is clear. God is calling visionaries to see that future, to travel that road, and to one day help heal the world.